Follow this detailed step-by-step guide to remove the RogueRobin malware from your Windows PC and improve performance. RogueRobin is a Trojan malware that has been recently identified by security experts. If the name sounds suspicious to you and you feel it might trouble your PC operations, you are perfectly right because whenever malware enters an operating system, it often infect the core files and processes. You have come to the right place to know how to remove the RogueRobin malware because this guide is informed by the work of security experts, white hat hackers and those who really want to help those in need. After all, you will find yourself in a tight position because Trojans immediately slow down your PC, start consuming too much of RAM and CPU power, and can sometimes take control of your files, turning into a ransomware attack. According to reports by security researchers, RogueRobin is confirmed to be a Trojan malware. Trojan is a term that is used to identify a virus that poses as legitimate software, disbursed through official websites. But when unpacked, these files become malware designed to infect your computer or laptop. This particular malware was developed by the hacking group that goes by the name DarkHydrus. As soon as RogueRobin enters your system, it will automatically check the processes running. 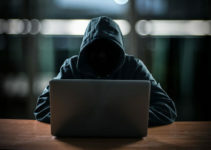 The hackers behind the malware have written the program into two different formats, using C# as well as PowerShell commands. It also takes control of the registry and uses an official Windows code to avoid detection from antivirus and antimalware scanners. It embeds itself so that the Trojan runs every time Windows is booted up. When the virus has not infected your PC fully or taken control of your files, this is the best time to start backing up your files. Before you try to remove it from the computer, take a backup of all your important files in a different hard drive, cloud storage or anywhere else. Make sure to close all your browsers before you try to remove the malware from the hard disk. 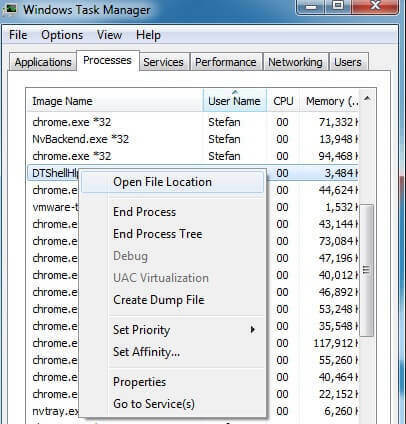 The Task Manager shows all the processes that are currently running. While some of them are legitimate Windows processes, the malware will be one among these tasks. 2. Browse through the list of ongoing processes and identify those that are consuming too much CPU power or RAM. 3. By default, Google Chrome consumes a lot of RAM and so does some specific software. Don’t close them. 4. Find the suspicious process that shows up on the high usage list. Identifying the files is always based on the amount of CPU or RAM that they are consuming. The highest ones and those that have suspicious file names are always a potential target. 2. Make sure to delete everything that you find in this folder to delete its source. 3. If you are unsure, just right click on the file name and “End Process” so that it stops running in the background. How to Remove the Malware from the Host File? You can find whether a file is legitimate or a virus in disguise by opening the host file. Click on those files and open the file location. The best way to do so is head to the System32 Directory inside the Windows folder. Open the Drivers folder and then click to open Hosts. 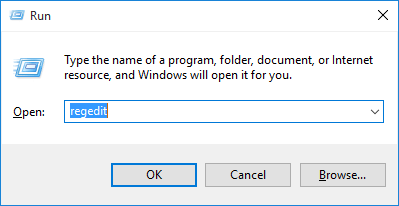 Right click on the hosts file and open it with Notepad. If you find a list of new IPs below your original IP, it denotes that hackers are remotely accessing your files and PC from a different location. Most malware gains control of the registry and poses as a legitimate file so as to open every time Windows is booted. The RogueRobin malware is no different, but you can try to remove it by disabling malware and other suspicious programs found in the startup folder. 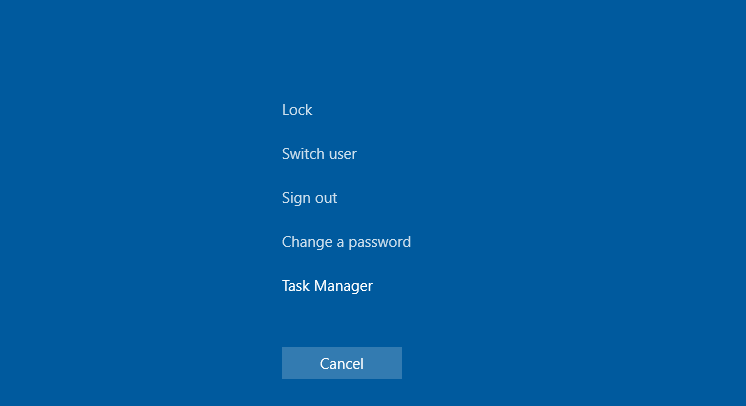 On Windows 10, open Task Manager by pressing Ctrl, Shift and Esc at the same time. Find the tab that says “Startup” and browse through files. 3. Check those that are marked as High on the “Startup Impact” column. Malware and spyware files typically consume lots of system resources, which is why files in this high impact category are more likely to be malware. 4. Right click and disable them. 5. Restart your system to check if they stay disabled and don’t enable themselves as a startup program again. 6. Any file that enables itself once again in the Startup column can comfortably be considered malware because legitimate Windows files and other software will not have such level of access. 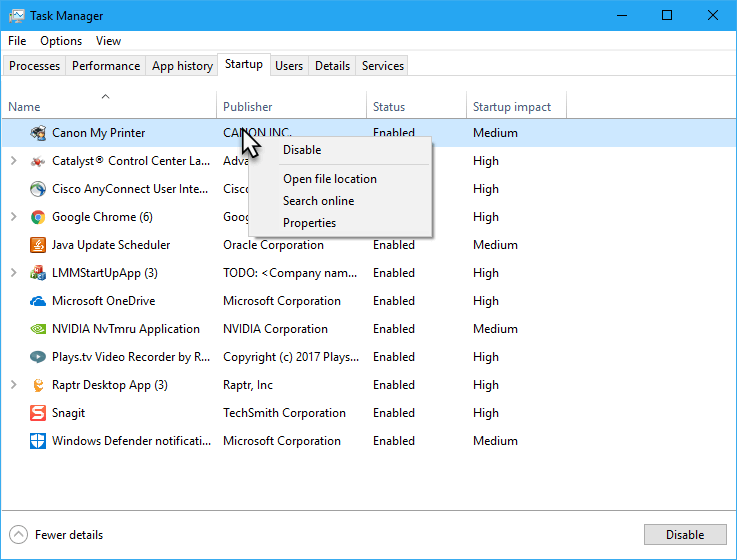 The Registry Editor is a favorite spot for all types of malware because it gives them complete access to your computer. Open it by holding Windows Key and pressing R.
2. You will see a task bar in which you should type regedit. 3. Once inside your registry, press Ctrl and F together to open the search bar. 4. Type RogueRobin and delete all the files that are found with the name of the virus. Note: Exercise caution at this stage as Regedit is also essential for your PC to run smoothly. Deleting important files could cause performance issues. Open your File Manager and type %Temp% in the search bar to open the folder. 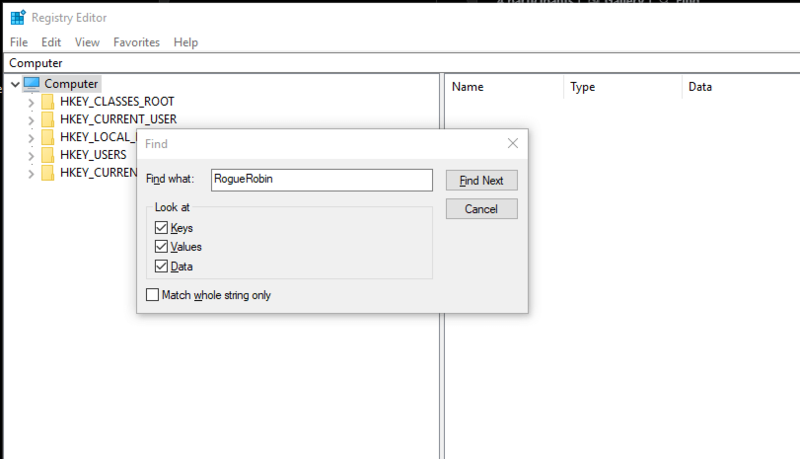 Delete any recent entries and files that have RogueRobin or a similar name in it. Follow the same procedure for different folders like %LocalAppData% and %ProgramData%. These are essential folders for the Windows operating system. Delete only the newest entries and suspicious files, as all others are supposed to be there for your PC to run without any issues. These are some of the best ways to help you understand how to remove the RogueRobin malware from your Windows PC. You can also use a reliable antivirus or anti-malware tool to get it done rather than taking the manual route, which could be complicated for the average user.